Conrad says they had to expand a garage door to get the truck inside the museum. KILGORE, TX (KLTV) - A piece of sports television history is now on display at an East Texas museum. 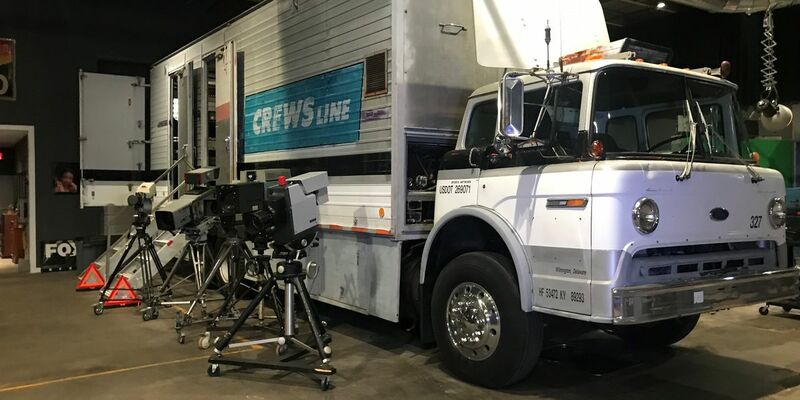 The Texas Broadcast Museum in Kilgore is currently working on renovating one of the three original trucks that ESPN used for mobile production. The truck was given to the museum by a production company, Crews Line, that later used it. Step inside the truck and you’ll find that not much has changed. Conrad says the truck was used for countless broadcasts across the country and even went to Jamaica once for World Cup tennis. “ESPN found out they could rent an entire 24 hour block of time on a RCA satellite for less than they can rent for 5 hours a day. So that’s why they became a 24 hours sports channel," Conrad said. Some of the equipment inside the truck does work, while some of it does not. A work in progress that Conrad hopes future generations can learn from. The truck is now on display inside the Texas Broadcast Museum on East Main Street in Kilgore. The museum is open 10-5 on Fridays and Saturdays.